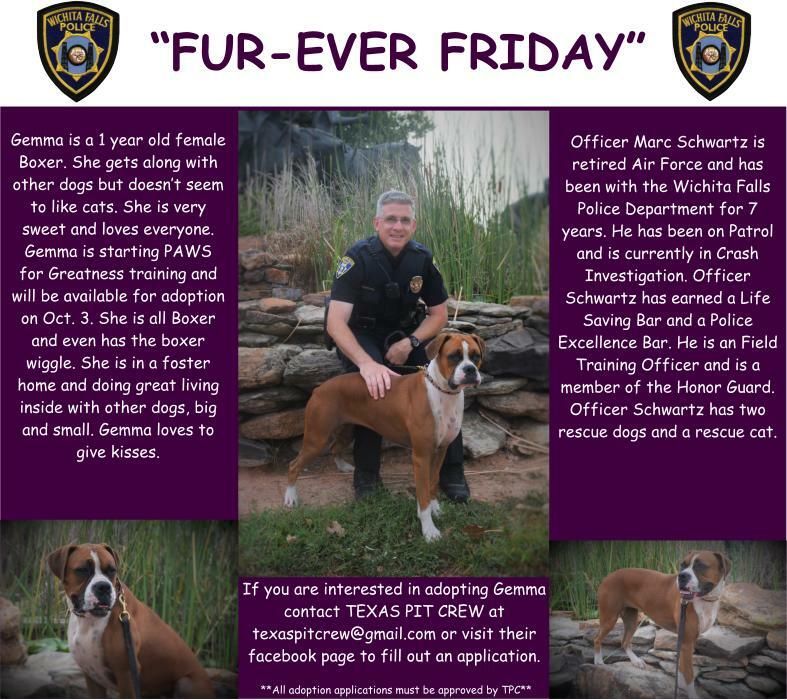 “Fur-ever Friday” Week 44 – Gemma & Officer Marc Schwartz. Gemma is a sweet one year old Boxer looking for her furever home. She will be starting PAWS for Greatness soon and will be available for adoption on October 3. Gemma will not last long so if you are interested in adopting her get your application in now by going to http://www.texaspitcrew.org and filling out an application. Email that application to texaspitcrew@gmail.com.